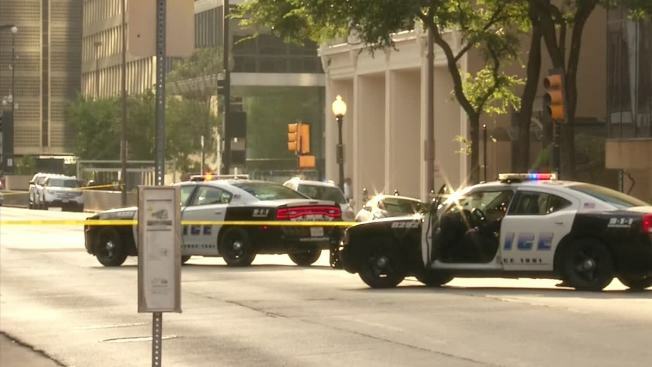 Nearly two weeks after it was the site of the final standoff between Dallas police SWAT and the man suspected of killing five officers and wounding nine others, El Centro College is due to reopen. College President Dr. Jose Adames said Tuesday that the school will be open for teachers and administrators on Wednesday and students will be allowed to return on Thursday. On July 7, Micah Xavier Johnson was killed by an explosive delivered by a motorized robot while he was holed up inside second-story room. On Tuesday, El Centro Police Chief Joseph Hannigan led an explanatory tour of how it all unfolded. 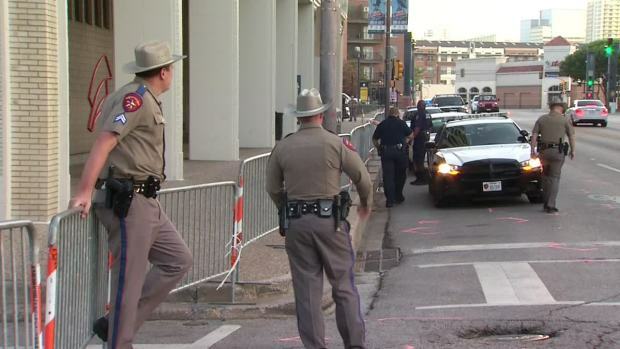 For the first time since the attack that killed five officers and wounded 11 others, Dallas' El Centro College will open its doors to the community. Johnson started his shooting spree outside the college on Lamar Street, having ditched his vehicle on the street minutes before. He fired at officers there. He then used the exterior columns of the building to advance or retreat, as police returned fire. Hannigan suspects Johnson was trying to escape after the first volley of gunfire, but he was surprised by the volume and intensity of officers' return gunfire, and unable to get away. He eventually shot his way into the El Centro building. By that time he had killed three Dallas police officers and DART Officer Brent Thompson. Johnson by that time was wounded and bleeding. Hannigan said investigators aren't sure if he was wounded from being shot or from exploding glass from broken windows. Johnson ran to a stairwell about 10 feet away, and advanced up to the second floor. 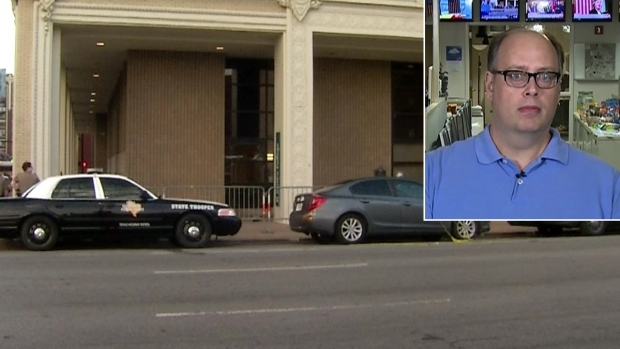 Watch as El Centro Police Chief Joseph Hannigan leads an explanatory tour of how the shootout with Micah Xavier Johnson unfolded at the downtown Dallas campus. He then went through the school's library, firing hundreds of rounds at officers below along Elm Street. He shot out the windows of the 7-Eleven store on Elm Street. 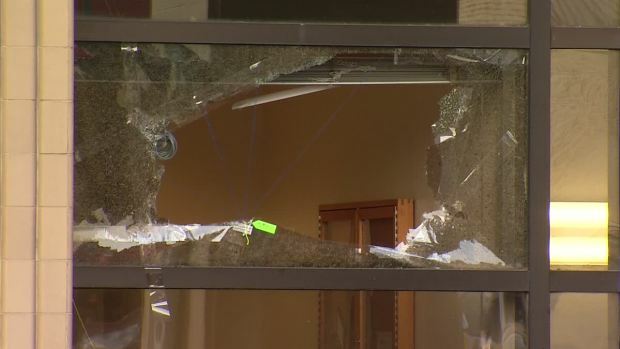 He kept firing from the library, and then moved down the hallway and kept firing at officers below. From the second floor, Johnson shot and killed Dallas police Sgt. Michael Smith. The chief said there were about 60 students in the building at the time Johnson advanced onto the second floor. Most of those students were on the seventh and eighth floors, and also the first floor. "The very first thing I had to do was help figure out if there was four shooters or one. If there's one, is he contained? Can we move students around him and get them out? And once that intelligence started coming in, he realized we could secure a stairway at the other end of the building and get the students trapped in here out to safety," Hannigan said. Hannigan says Johnson "fired indiscriminately" at officers below, shooting at "anything with a badge he could see moving below." The Dallas Morning News' Jeff Mosier joins NBC 5 to discuss El Centro College's recovery after the July 7 protest shooting. "We were going to pin him down sooner or later. He knew that. He knew we were coming after him. Dallas P.D. were coming after him. He knew not to stay in one place too long. 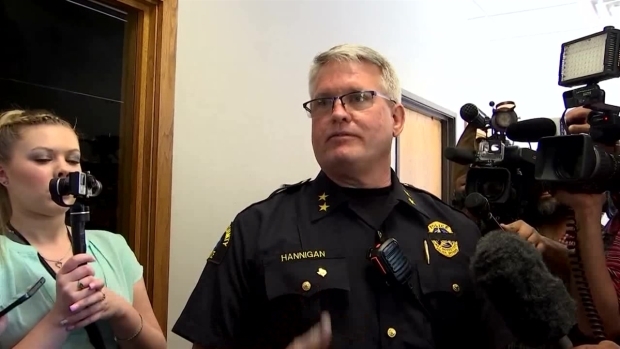 I don't know if it's intentional that he barricaded himself in that zone or if it was an accident, but that's what happened," Hannigan said. Eventually the shooter moved down a long hallway next to the library. It dead-ends to a small room used to store computer servers and wiring. That's where Johnson was stuck, and that's where an hours-long shootout and negotiation took place, before police brought in a robot to end Johnson's life. "This was a dead-end for him. There was a locked door here, the doorway. There was no getting around. He knew this side was covered and that side was covered. Nowhere for him to go really," Hannigan said. "How many shots were fired here?" asked NBC 5. "Right here I'd say a couple hundred rounds. There were bullet marks everywhere. This was the hot spot. These are all bullet holes. These are all bullet strikes," Hannigan said. The chief said even though Johnson couldn't escape that alcove, police are convinced he would've killed more officers if SWAT advanced down that narrow hallway. "I was at the command post at the main floor. I was aware of what was about to happen. I thought it was brilliant. There was no way this could have come to a conclusion by regular means. Their [SWAT]'s responsibility was to stop the killing, and if he was allowed to move out of this spot, more people would have died. It's a responsibility taken very seriously. If he got out of this area he would kill again," the chief said. Hannigan said Johnson previously took classes at Richland College, a different community college that's part of the Dallas County Community College District. But as a student, he would have been granted access if he wanted to enter the downtown Dallas El Centro campus. The chief said "we can't be 100-percent sure" but investigators are "pretty positive" at some point Johnson had been in that building and was familiar with its general layout. In fact, it's possible he had been inside the building in the days before his assault to scope it out. School president Dr. Jose Adames said there will be extra security and grief counselors on hand when students return to the El Centro campus. "We will never forget what happened. We will memorialize this, but we will not be defined by this," Adames said. Administrators will commission an artist to create a sculpture that displays the sacrifice and commitment of the city's law enforcement. "We will also put the five names of the officers on a plaque outside of the building," Adames said.